You can download HR templates and can do easy employee evaluation without any difficulty. Our templates are available in different formats and document types. Download the best one as per your needs and complete your task easily. 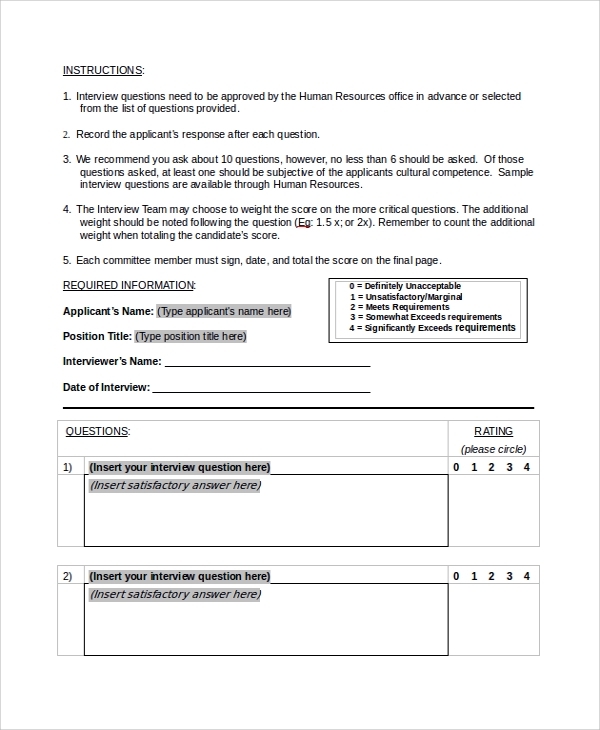 HR interview evaluation form is a basic performance review example form. You can customize it and make it an official document by replacing the logo with your business logo. 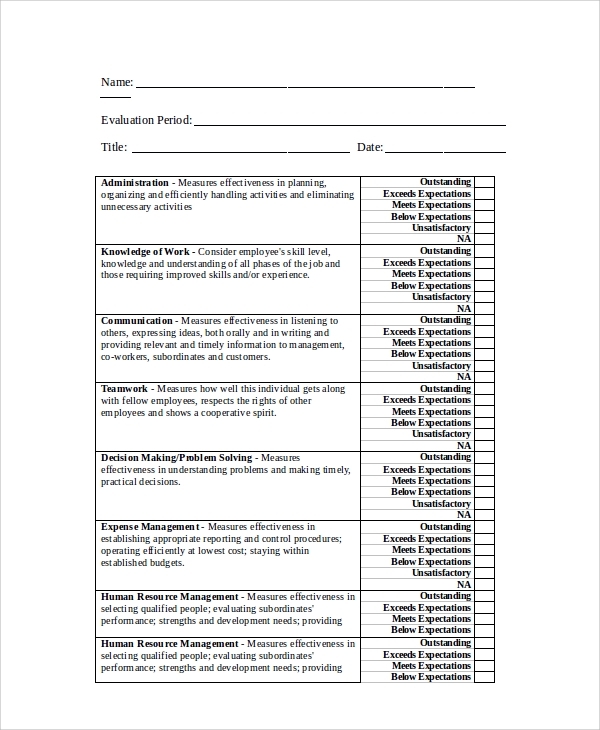 Take a print and start reviewing your employees. Review your employees by rating them on various grounds like communication, building trust, problem-solving etc. 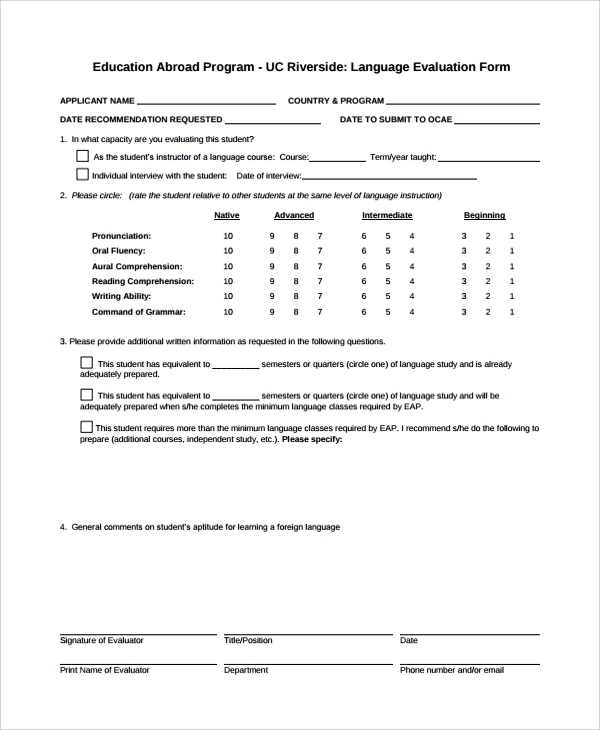 HR employee evaluation form is an objective pattern review template. Write employee details and rate it his/her performance on basic grounds by marking 1 out of 6 radio buttons. Unique design, high-quality print, and easy customization make it a best employee review form. 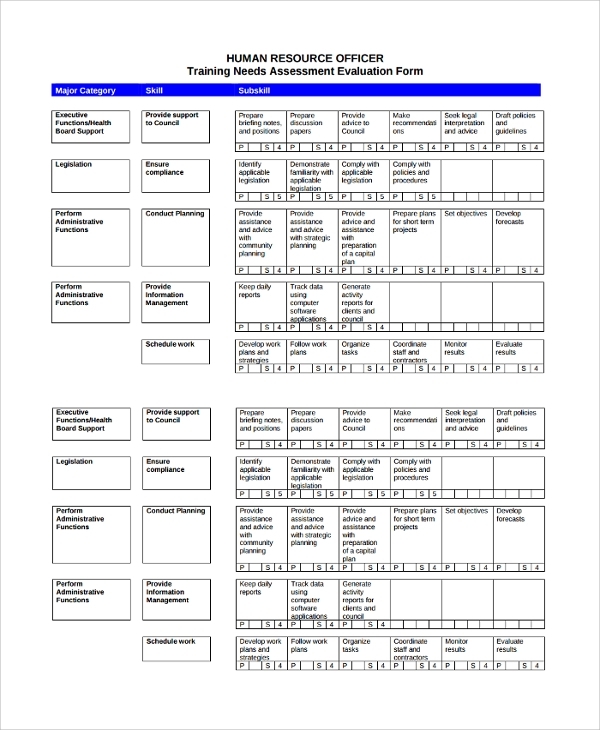 HR training evaluation form is a print-ready PDF document to review employee performance in the training period. Rate the employee’s performance by marking on a scale of 1 to 5. 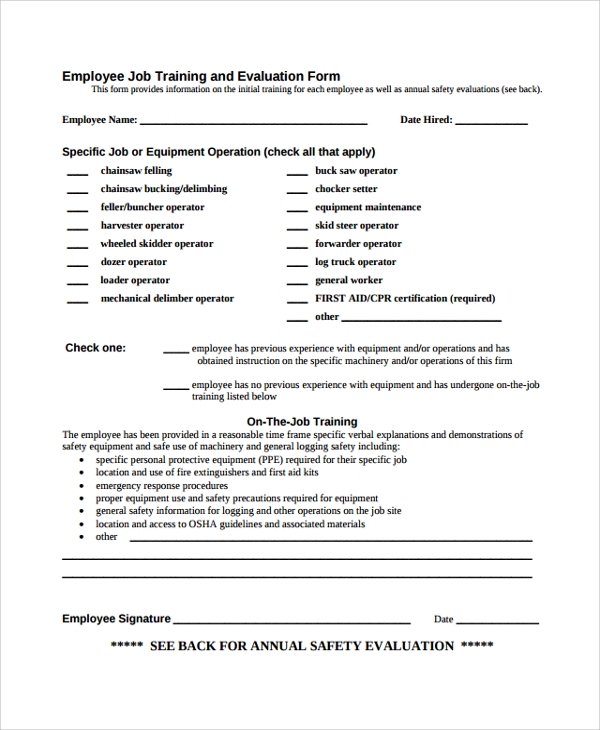 It also contains worksheet to write supervisor’s comments, expectations, employee goals, career goals, and employee comments. In the last, take supervisor’s and employee’s signature. 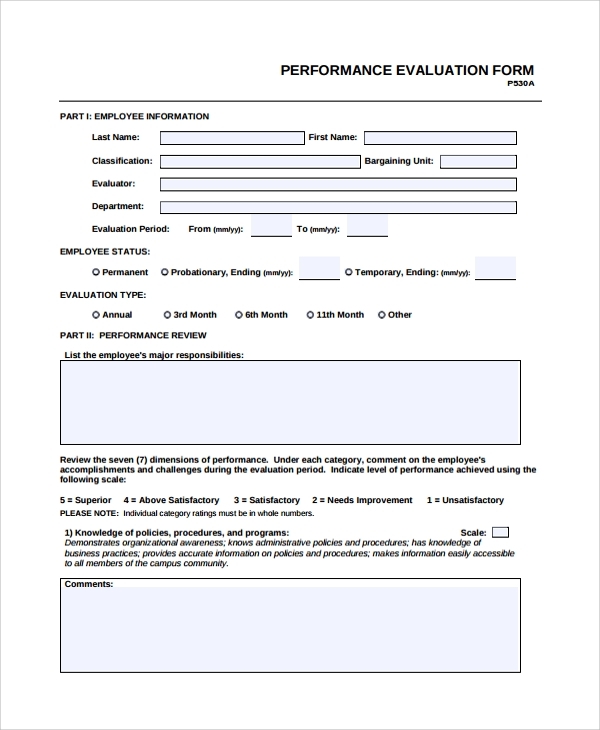 HR performance evaluation form is a PDF document that can be edited online. 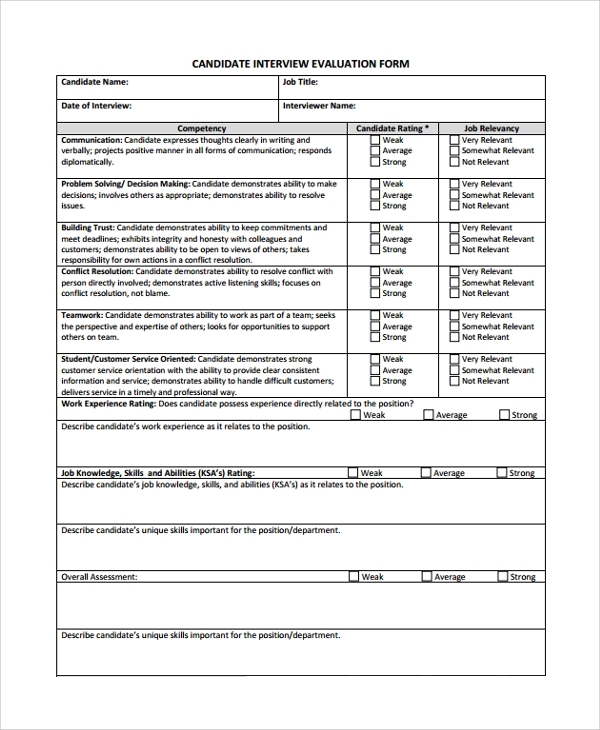 It is a brief performance review example form to highlight all major points. Write employee’s responsibilities and review it on a scale of 7 with a brief comment for evaluation. 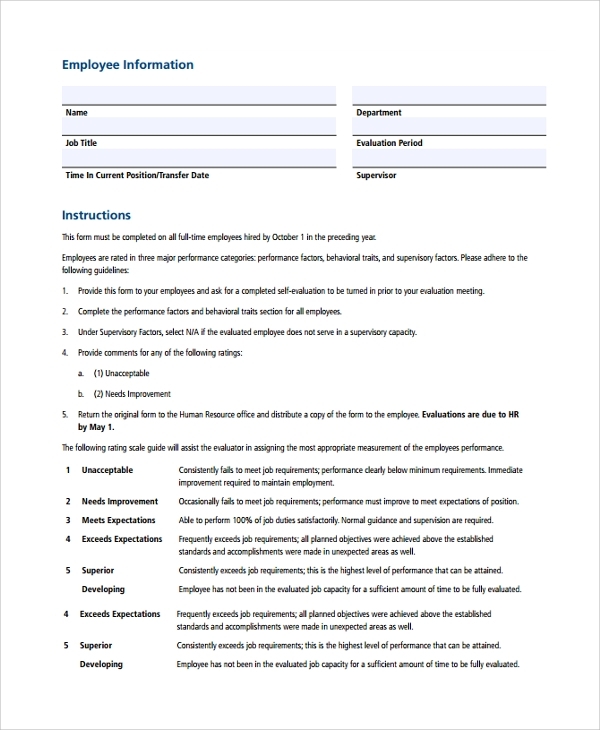 Edit the performance appraisal form using MS-word. Our HR templates are unique, responsive, and stunning. You can edit/customize it for making it a company document. If you are seeking for any other HR template solution then feel free to contact us. We will provide the best template that matches your need. Also, we develop custom templates as per the order.